Life is full of changes right now and, fortunately, most of them are good. New dog, new job, and new spring produce like ramps! 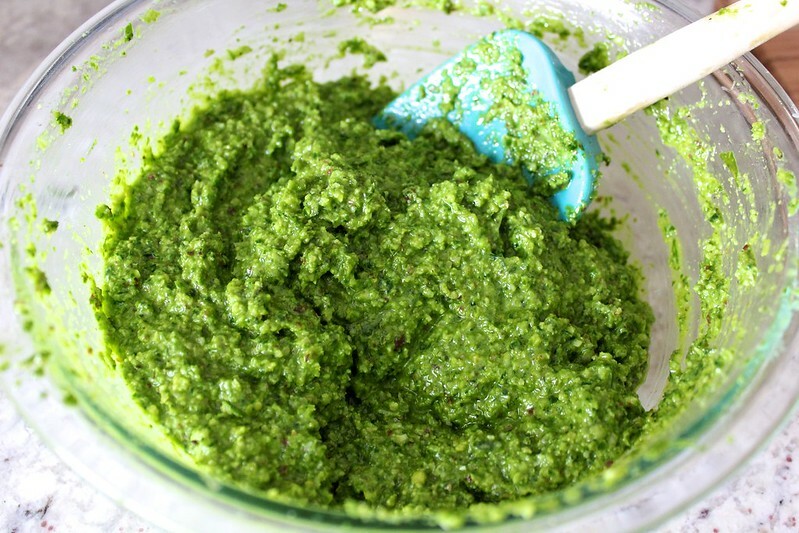 Over the years, I have struggled to find a recipe that best maximizes the mild oniony flavor of hyper-seasonal ramps, and this pesto does the trick. 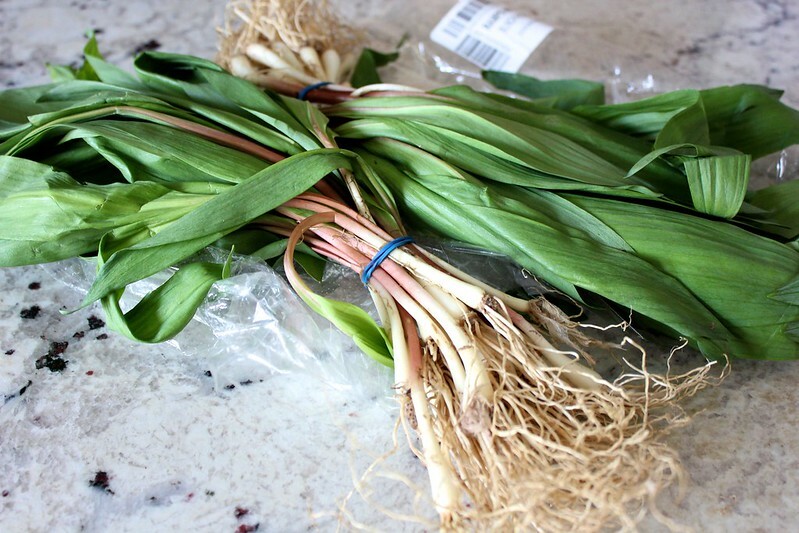 It extends the ramps’ shelf life and makes it possible to add their flavor to a wide variety of dishes. 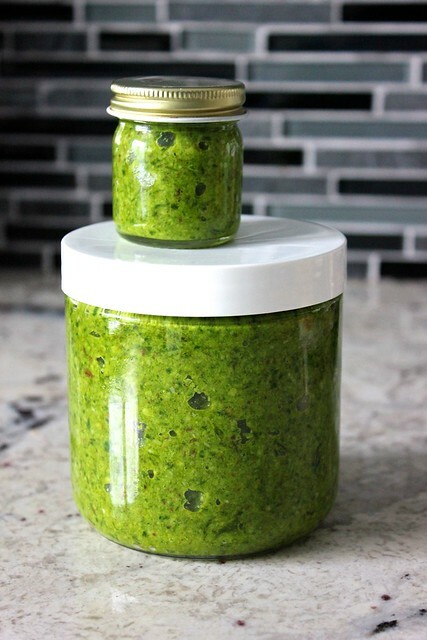 One of my friends even freezes her ramp pesto in ice cube trays so she has some on hand throughout much of the summer. To make it, toast 1/2 cup of hazelnuts in a 350° F oven until they smell toasty and look golden. While the nuts toast, give 8 ounces of ramps a good washing. 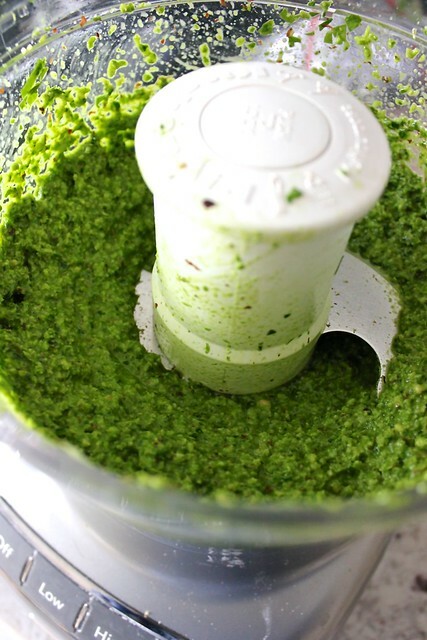 Trim the roots off of the bottoms, roughly chop the ramps, and put them in a food processor. Add the hazelnuts to the ramps and turn on the food processor. 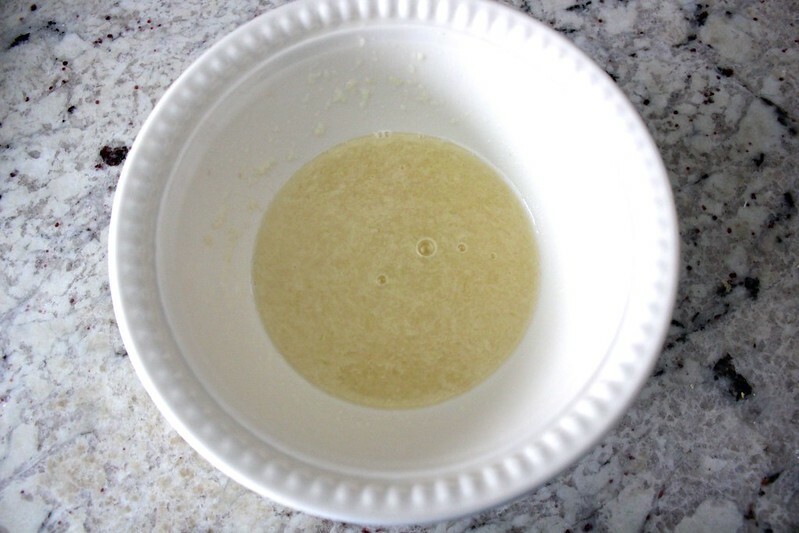 With the food processor running, drizzle in about 1/2 cup of olive oil until the mixture forms a loose paste. 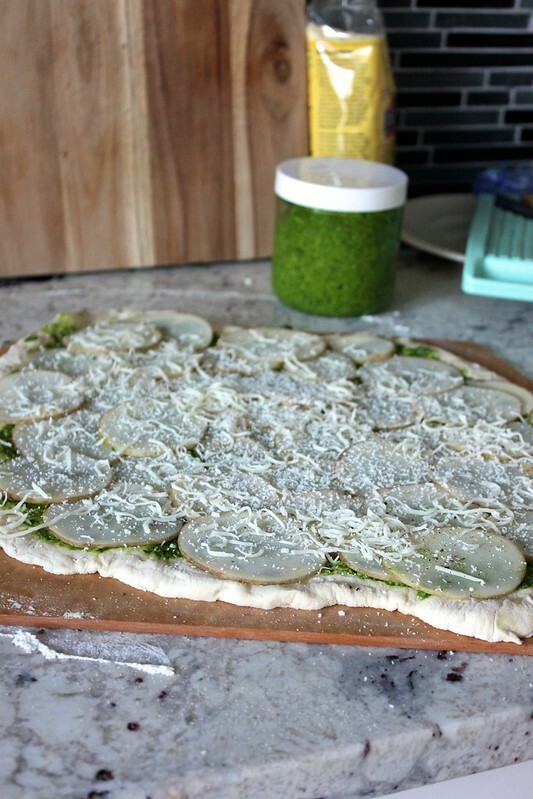 …make potato pizza! Make or buy pizza dough. Heat your oven as high as it will go (mine goes to 550° F). Very thinly slice a russet potato on a mandoline. Stretch the dough out into a thin crust on a pizza peel, if you’re using a pizza stone in your oven, or on a baking sheet. 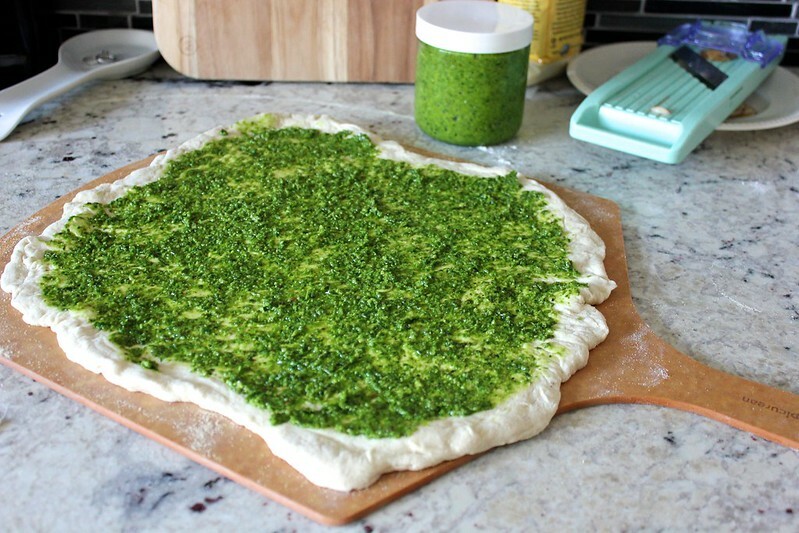 Spread the dough with some pesto. 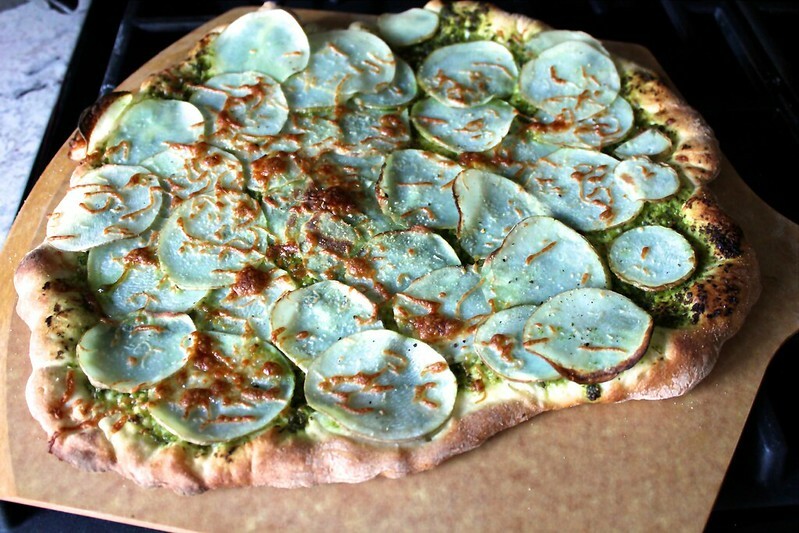 Top the pesto with an even layer of potato slices. Top the potato slices with a light sprinkling of shredded mozzarella cheese and grated parmesan cheese. Season the whole thing with salt, and throw on some pine nuts (I got so excited that I forgot to add mine). Bake the pizza for approximately 10 minutes until the crust is golden brown and the potatoes are tender. Slice and enjoy that springy ramp flavor! 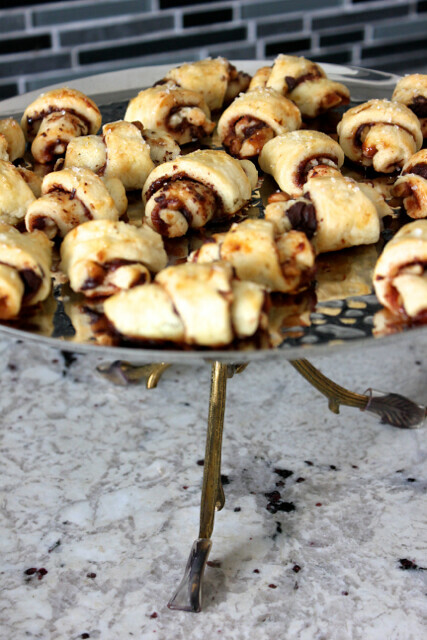 Whenever I eat rugelach, I think of the time my friends moved all of the furniture out of their apartment, rented a large dining table and chairs, and hosted one delicious Hanukkah dinner. The host and I made latkes for the occasion, and another friend showed up with a plate of the most beautiful, homemade rugelach. After laboring over my own rugelach, I am even more impressed with his seemingly effortless contribution. The flaky, tangy dough in this version balances out the jammy, chocolatey, nutty filling within for a perfect bite. I practiced making this recipe repeatedly to simplify it and come up with the most reliable method. 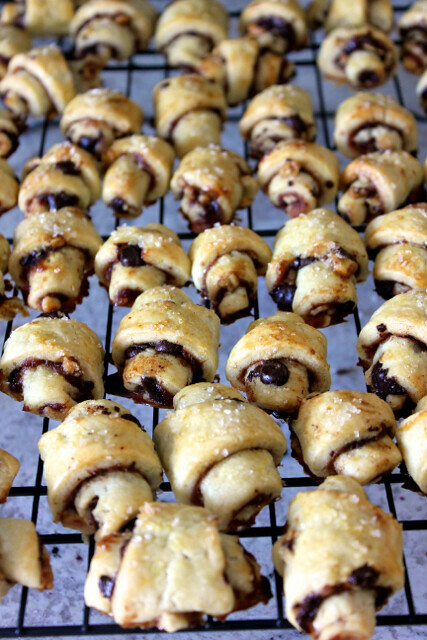 I made it so many times that my Smitten Kitchen cookbook would fall open to the rugelach recipe– IF its pages weren’t stuck together! 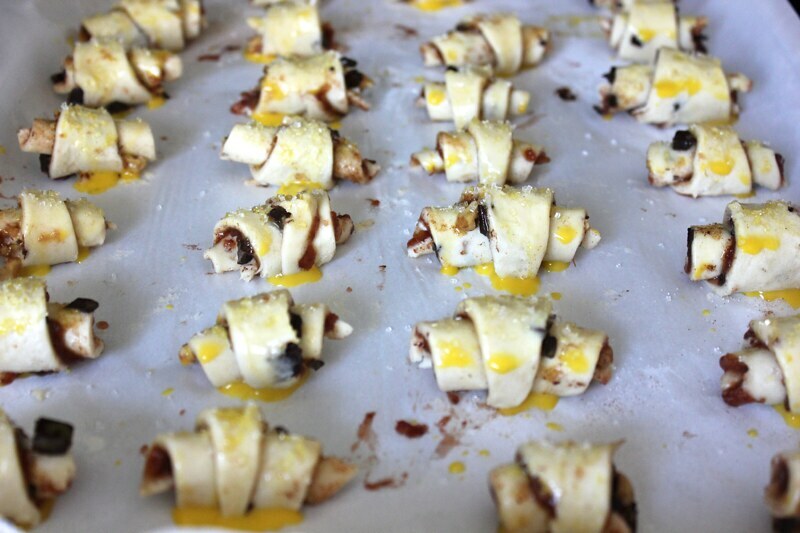 If you’re making rugelach from start to finish in one day, begin before noon. To make the dough, completely soften 1/2 pound of butter (2 sticks) and 1/2 pound of cream cheese (1 brick) at room temperature. Add them to a stand mixer with the paddle attachment, and beat them until they are aerated and fluffy. In a separate bowl, stir together 2 cups of flour and 1/2 teaspoon salt. 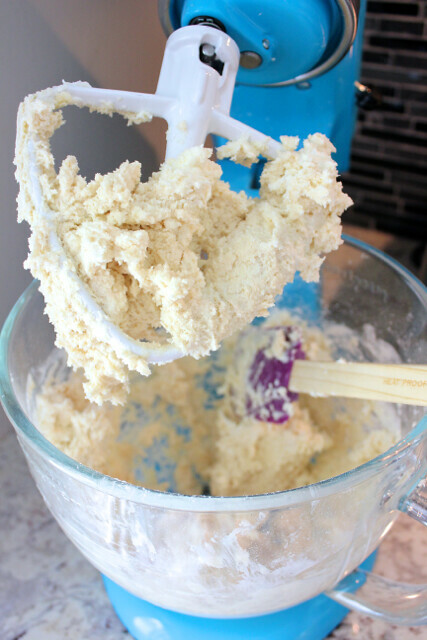 Pour the dry ingredients into the stand mixer, and beat it on low just until everything is combined. 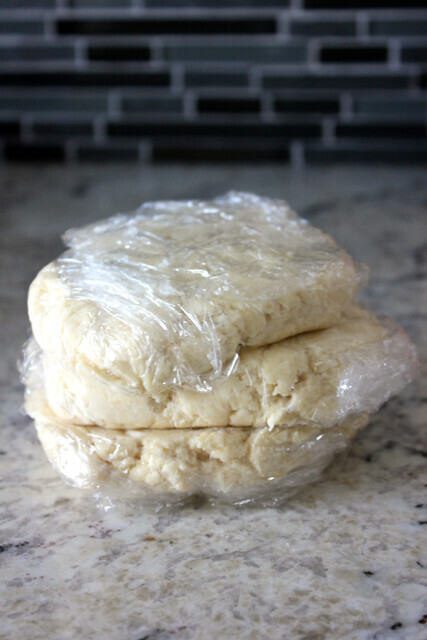 Tear off 3 sheets of plastic wrap, and divide the dough between them. Wrap the dough up, and shape each packet into a flattened disc. Chill the dough in the refrigerator for about 3 hours or until it is completely firm throughout. Once chilled, prepare your fillings. Warm 2/3 cup of jam in a small pot until it is spreadable. Separately, stir together 1/3 cup of sugar and 1/2 tablespoon of cinnamon. Chop 3 tablespoons of toasted nuts. Also chop 3 ounces of dark chocolate. Then, remove one disc of dough from the refrigerator. Tear off a sheet of parchment paper, and sprinkle it and your rolling pin with flour. Unwrap the disc of dough, and roll it into a thin circle. No need for things to be perfect, but the goal is to keep the dough from getting warm. So word to the wise: don’t work your dough on a countertop that is warm from a running dishwasher!! Spread the dough with 2 or 3 tablespoons of jam. Sprinkle over 3 tablespoons of cinnamon sugar, 2 tablespoons of chopped chocolate, and 1 tablespoon of chopped nuts. 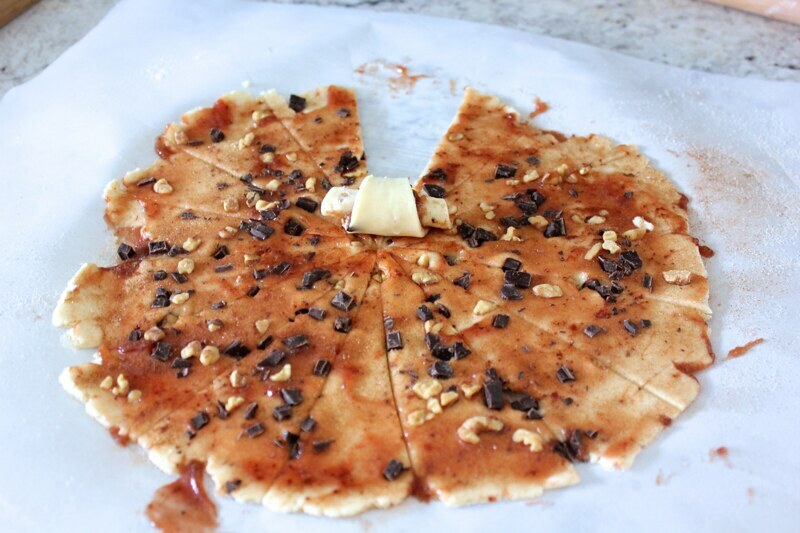 Use a sheet of wax paper to gently press the fillings onto the dough. Then, slide the parchment paper and dough round onto a cookie sheet, and put it into the refrigerator to chill. This step will make the rugelach rolling process much easier. While the first round of dough is chilling, repeat the rolling and filling process with the remaining discs. When you’re done, heat your oven to 350° F.
Remove the first round of dough from the refrigerator, and slice it into 16 wedges. A pizza cutter is the perfect tool. 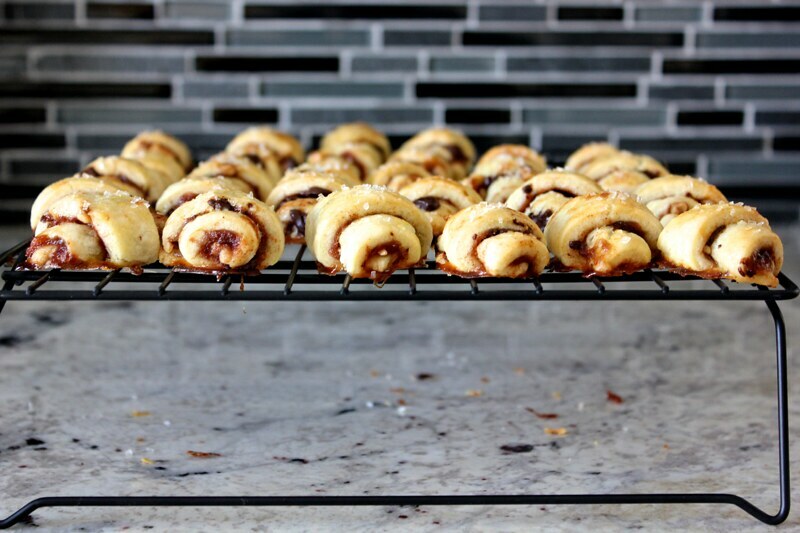 Roll the rugelach inwards, slice by slice, from the outer crust to the inner point. You may have to wait a few minutes for the dough to warm up just enough so it reaches a rollable state. 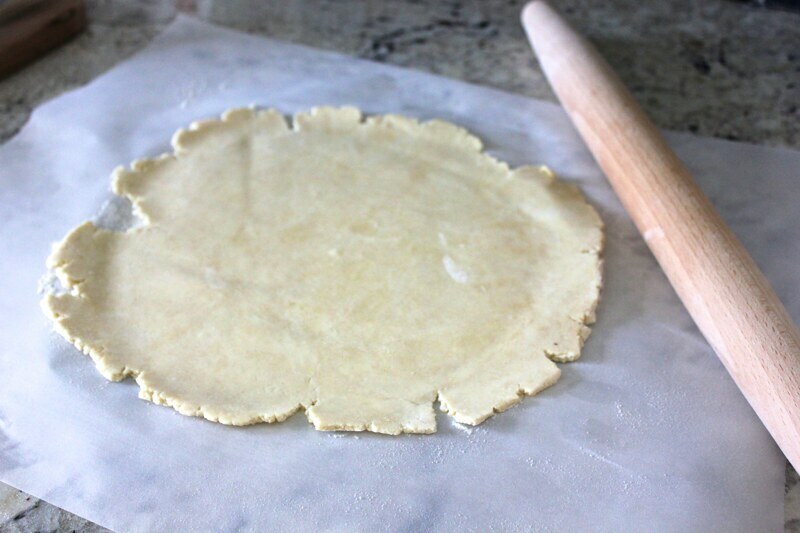 Transfer each rolled cookie to a parchment lined baking sheet. Keep the rolled cookies in the refrigerator while you repeat the process with the remaining rounds. Once all of the cookies are formed and spread evenly on baking sheets, brush each one with an egg wash, a mixture of 1 egg yolk and a small splash of water. Sprinkle the top of each cookie with a little bit of the remaining cinnamon-sugar mixture. Bake the cookies for 20 to 25 minutes, until they are golden brown on top. Once out of the oven, immediately transfer each cookie to a cooling rack. If the cookies cool on the baking sheet, the oozy jam may make them stick to each other. Once cool, pass these cookies around a table full of friends. If you have extras, they freeze really well and can be defrosted at room temperature and briefly toasted before serving. But be warned, if you make these once, you’ll field constant requests for more. A labor of love indeed! This recipe is from the Smitten Kitchen Cookbook. 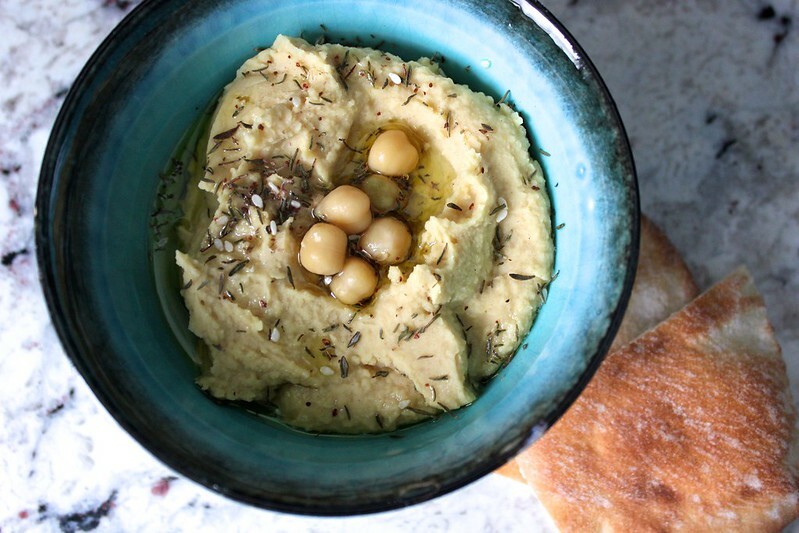 I’ve tried making hummus at home a few times, but this version is by far my biggest success. 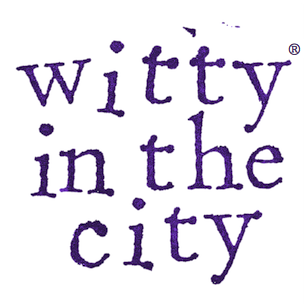 It is incredibly smooth and very mildly accented with garlic. I will tell you the tricks to achieving both of these benefits! And even though you’ll cook dried chickpeas to make this recipe, it is still surprisingly easy and makes a batch large enough for a party or for pushing off on your sister. I would much rather eat this hummus than any sold in stores and most served in restaurants. I seriously cannot wait to get started on my next batch. I have some good ideas for hummus dippers too! 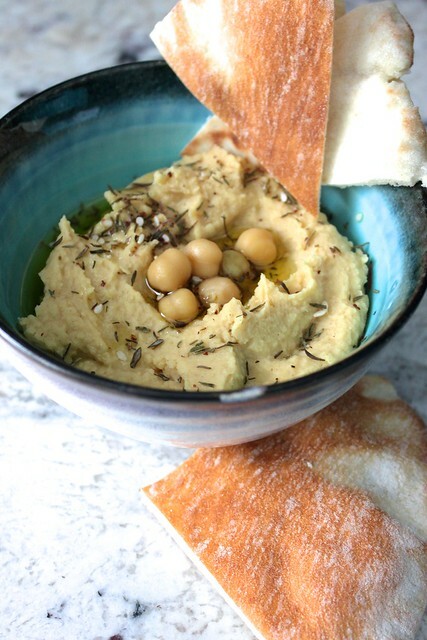 The night before you want to make your hummus, add 2 cups of dried chickpeas to a large bowl, and fill the bowl with water, covering the chickpeas by at least 2 inches. Let the chickpeas sit out for 8-12 hours until they have swelled to about twice their size. Pour the bowl of chickpeas and water into a large pot. 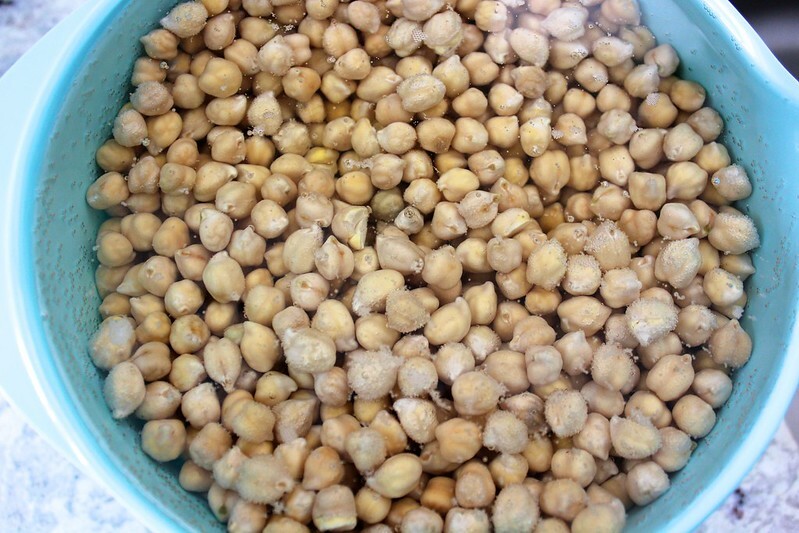 Add more water so the chickpeas are covered by 2 inches once again, and stir in 1 teaspoon of baking soda. Bring the chickpeas to a boil, then reduce the chickpeas to a simmer, partially cover the pot, and let them cook for 1 hour until they are tender. The chickpeas might create a lot of foam towards the beginning, so use a mesh strainer to skim that off, and discard it. When the chickpeas are done, drain them, but reserve the cooking liquid. While the chickpeas cook, squeeze 1/3 cup of lemon juice into a small bowl. Grate 4 garlic cloves over a microplane, and add the paste to the lemon juice, along with 1 teaspoon of salt. Stir, and let the mixture sit for at least 10 minutes. During this time, the garlic will mellow out considerably. If you taste it at the beginning of the 10 minutes, your hair will stand up straight. Taste at the end of the 10 minutes, and you’ll want more. 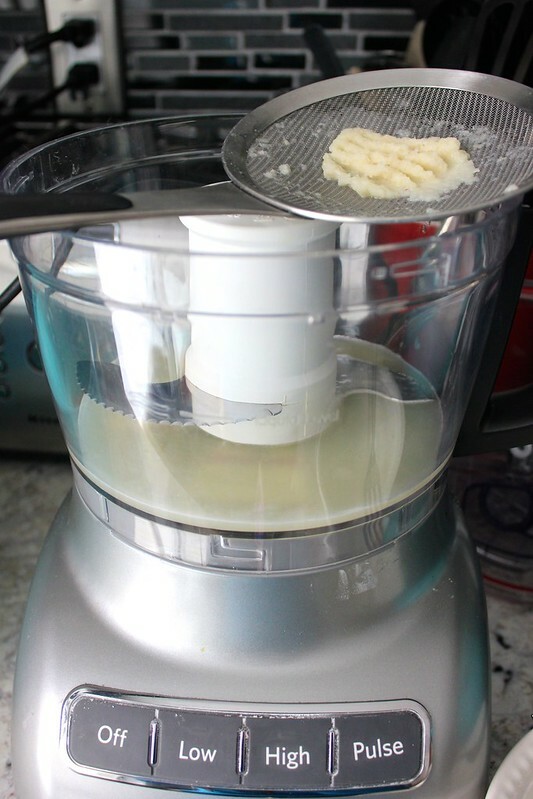 Set a mesh strainer over a food processor, and pour the garlic mixture through. Push on the solids to release as much of the flavorful liquid as possible, and then discard the solids. 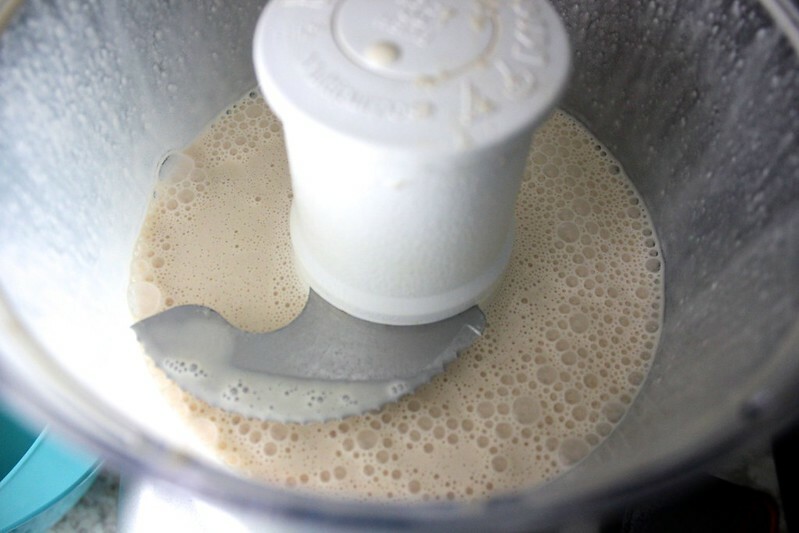 Add 2/3 cup of tahini to the food processor, and turn it on. 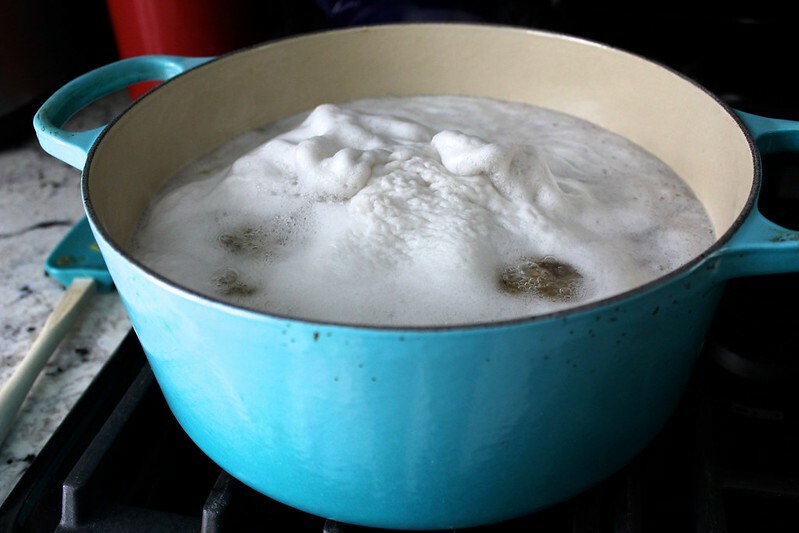 While it’s running, add in 1/4 cup of very cold water, a little bit at a time, until the mixture is smooth. Add all but a small handful of the cooked chickpeas to the food processor, along with 1/4 teaspoon of cumin. Process the mixture for about 4 minutes, stopping to scrape down the sides of the bowl occasionally, until it is smooth. 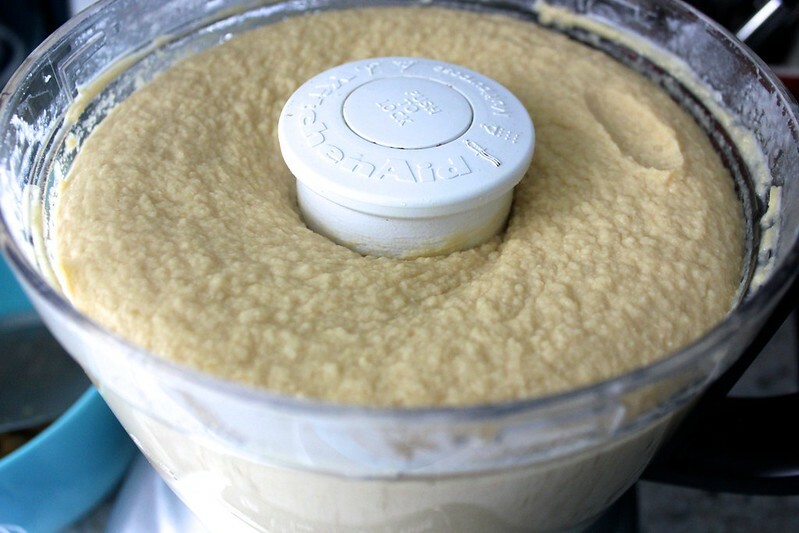 To thin the hummus, add a few tablespoons of the chickpea cooking water at a time, and process again. Once you have the consistency you want, work on flavor. Season with salt, and add more cumin and lemon juice as needed. This recipe is adapted from Bon Appetit magazine.